"How Weed Won The West" is Kevin Booth's latest documentary on the varied and complex issues in the hemp movement. The film showcases the most recent, hot-off-the-presses, real-life situations involved in the move for hemp/ cannabis re-legalization, and deserves national attention. It's high production quality and in-depth, respectful, and honest look into the lives of the people this issue affects, puts it well above the bar of marijuana joke movies. This is an issue that is far too important for people to sit back on any longer. Kevin's film reflects the humanity behind an often demonized and misunderstood, healing, and possibly economic panacea herb -- Cannabis Marijuana, Hemp. Used to be legal. Should be again! Great, educational, funny, and moving movie. How Weed Won The West delves deeply into the culture and commerce of cannabis featuring California's ganja growers,medicinal marijuana patients and law reform advocates. Kevin Booth's vivid document from behind the front lines of the "war on pot" blows the lid off a multi-billion dollar industry on the verge. Danny Danko HIGH TIMES Magazine ! With California and the rest of the country going bankrupt, one business is booming. How Weed Won the West is the story of the growing Medical Marijuana industry, focusing on Los Angeles with over 700 legal dispensaries doling out the buds. Following the story of Organica, a southland dispensary which was raided by state and federal agencies in August of 2009, the film shows that although much has changed with Obama in office, the drug war is nowhere near over. Kevin Booth, producer/director of American Drug War, picks up where the last film left off and continues his fight against the hypocrisy of the War on Drugs. Intended to inform and entertain, this fast paced and even sometimes funny film features Texas conspiracy guru Alex Jones, Ethan Nadelmann head of Drug Policy Alliance, and a host of amazing characters including a former LAPD narcotics officer who now thinks all drugs should be legal. This is a must-see film because it destined to become an icon of the marijuana anti-prohibition movement. Even to someone who has not consumed weed in decades, this film definitely opens anyone's eyes concerning the detrimental economic, social and human ramifications created by marijuana prohibition. It takes the viewer through a journey of real life stories involving the relatively new California legal marijuana industry using a refreshing angle which does not focus strictly on the medicinal value of marijuana. 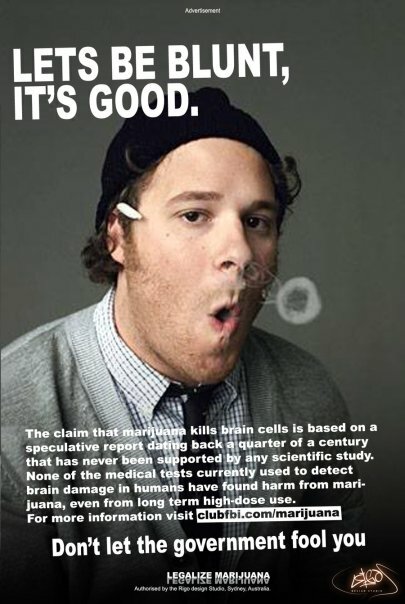 The widespread responsible consumption of marijuana for personal recreation and mood enhancement is addressed as well. While there are many light and entertaining moments which are implied by a somewhat playful title, the subject matter and the production values of this film give it a serious historical position as an iconic mainstream documentary film.